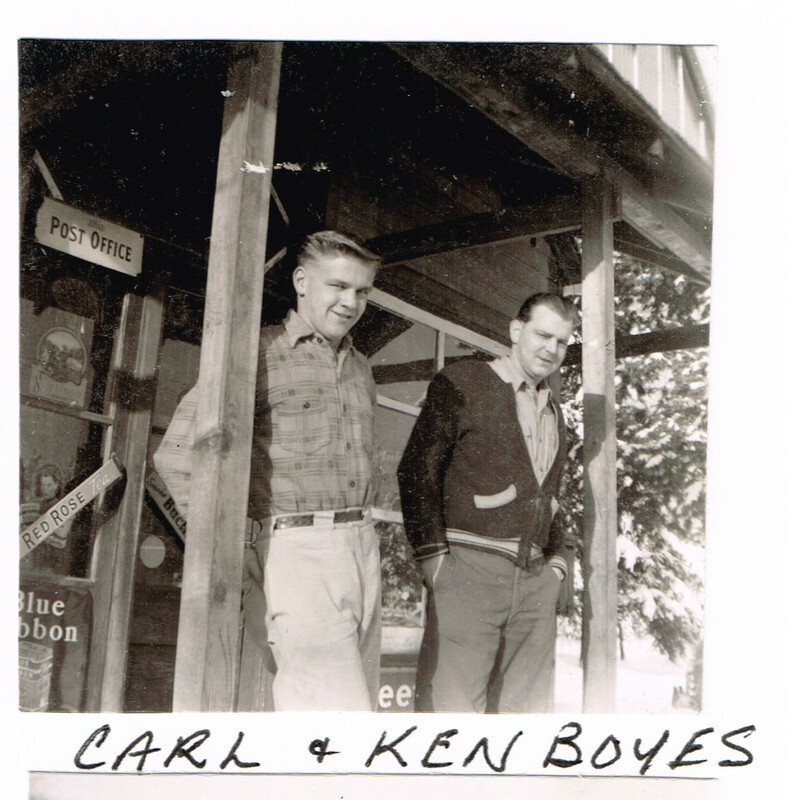 Carl Bertholm and Ken Boyes stand on the front porch of the Malakwa Store and Post Office. The store was owned by Ken Boyes. 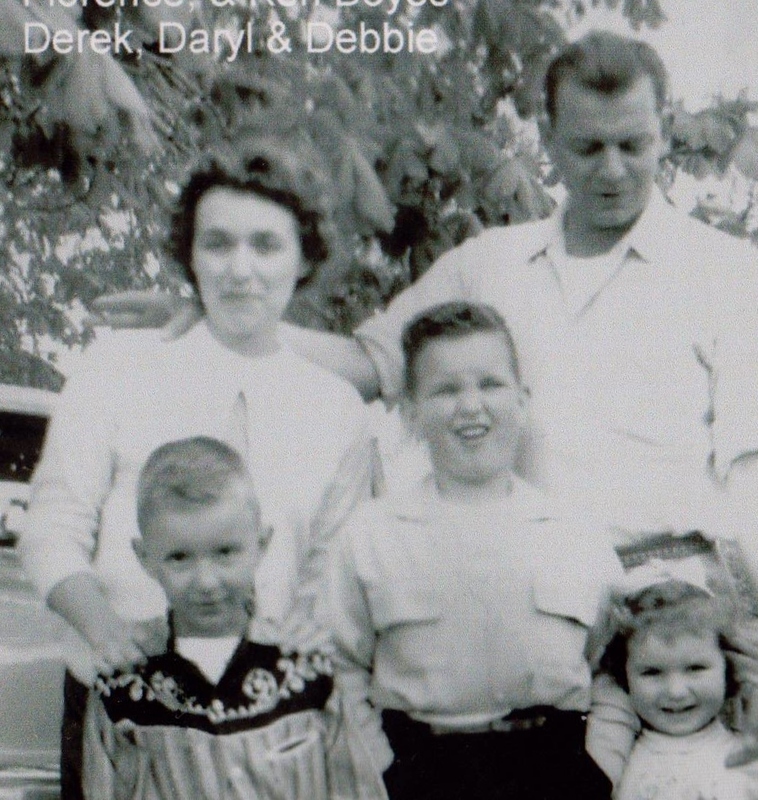 Local residents purchased groceries and animal feed. Carl Bertholm worked at the store with Ken for many years. 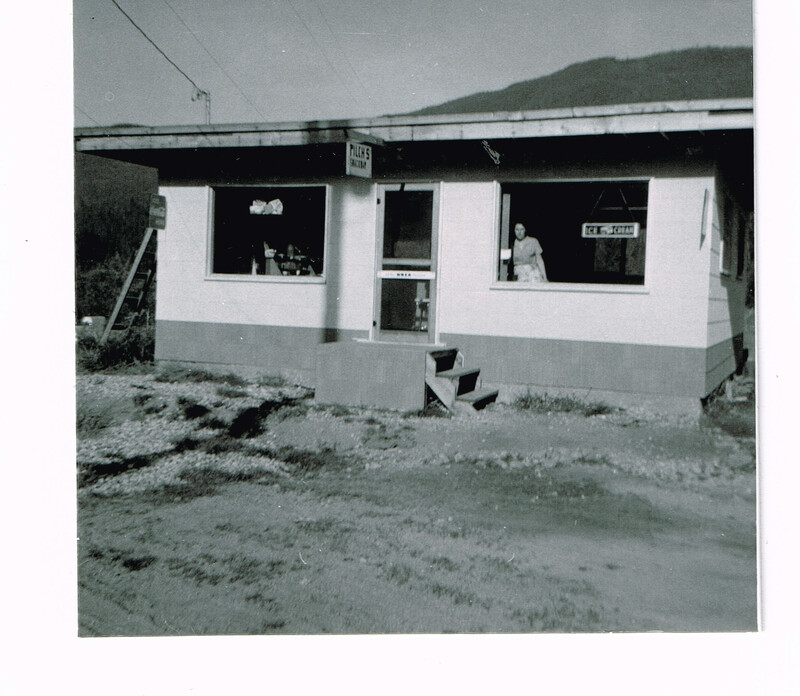 1958 saw a new business built along Highway 1 in Malakwa. 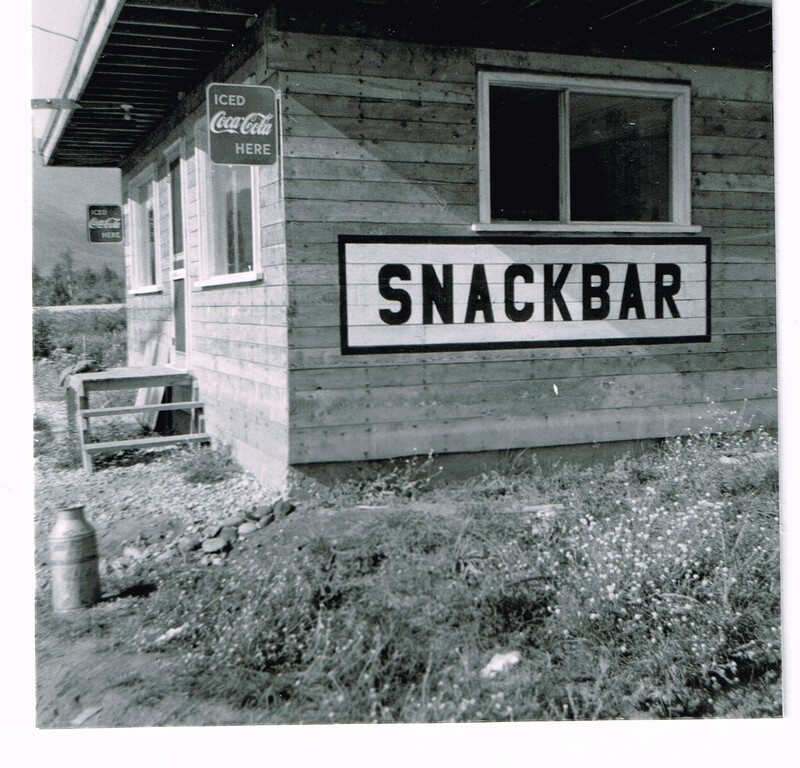 Frank and Shirley Pilcher built a new snackbar. It was the local hang-out for the teenagers!